Renting inflatable rafts with free delivery in East Glacier area! We carry Alpacka brand rafts which are small inflatable rafts that pack down to the size of a 2-man tent, are capable of Class III whitewater and weigh less tha 8 pounds including paddle and life jacket! 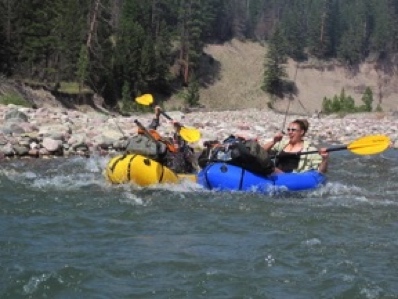 The rafts are very easy to use and do not require previous kayak or rafting experience to operate. We have a couple of models that are big enough in calm water to have a kid or a dog with you, but most of our rafts are one person only. Because they are packable, you can hike or drive them anywhere you want to go! 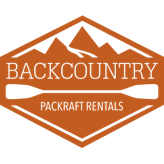 Whether you want to fish a backcountry lake in Glacier, relax on Two Medicine Lake or take them down the Middle Fork of the Flathead River you are bound to have a true Montana experience! Call or email Matt for trip ideas, scheduling and rates.